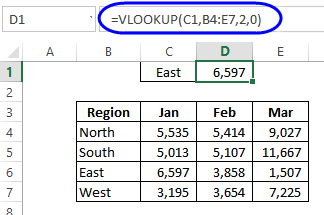 The VLOOKUP function is a Vertical lookup. It looks down the left column of a range, to find a value. Then, it returns a value from another column in the range, from the row where the matching value was found. In the following table, you could look for "East", and get the January sales, which is in the 2nd column of the range B4:E7. Simple to use, once you understand how it works. The value that you're searching for must be in the leftmost column of the range. 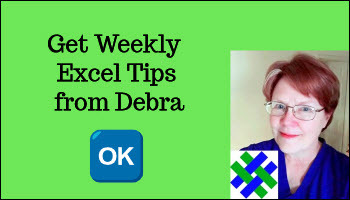 Click the link to read more about the VLOOKUP function, and see other examples, and get a download file. 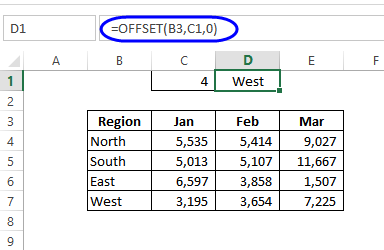 The HLOOKUP function looks across the top row of a range, to find a value. Then, it returns a value from another row in the range, from the column where the matching value was found. In the following table, you could look for "Jan", and get the West sales, which is in the 5th row of the range C3:E7. The value that you're searching for must be in the top row of the range. 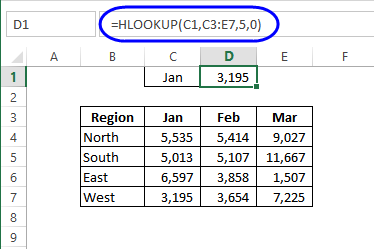 Click the link to read more about the HLOOKUP function, and see other examples, and get a download file. The LOOKUP function has two syntax forms -- Vector and Array. With Array form, it looks in the first row or column of an array, and returns the matching value from the last row or column. 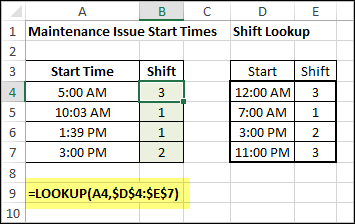 This example uses LOOKUP in its Array form, with shift start times in column D, and shift numbers in column E.
When a factory machine breaks down, the incident start time is intered in column A, and this formula, in column B, calculates the shift number. The formula finds an approximate match for the start time in the first column of the lookup table (D), and returns a value from that row, in the last column of the lookup table (E). Lookup array or vector must be sorted in ascending order. Click the link to read more about the LOOKUP functions, and see other examples, and get a download file. The INDEX function can return an item from a specific position in a list. 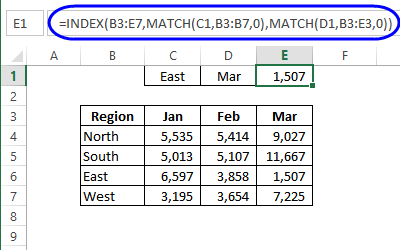 In the following table, the MATCH function finds the row for East, and the column for Mar, and the INDEX function returns the value at that position. Very flexible -- look for value in any row or column. Two functions required, and more difficult to understand and set up . Click the link to read more about the INDEX / MATCH functions, and see other examples, and get a download file. The OFFSET function returns a reference, of a specified size, offset from the starting reference. In the following table, you could get the value from the cell that is down 4 rows from cell B3. 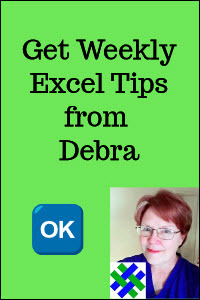 Download the Excel Lookup Functions workbook, to see all the examples from this page. The zipped file is in xlsx format, and does not contain macros.